Laurent Desmarchais and James Song were the biggest movers among the Top 10 over the course of 2018. Desmarchais, who was named to the Golf Canada Development Squad for the upcoming season, gained 1,323 spots in the world rankings over the course of 2018. 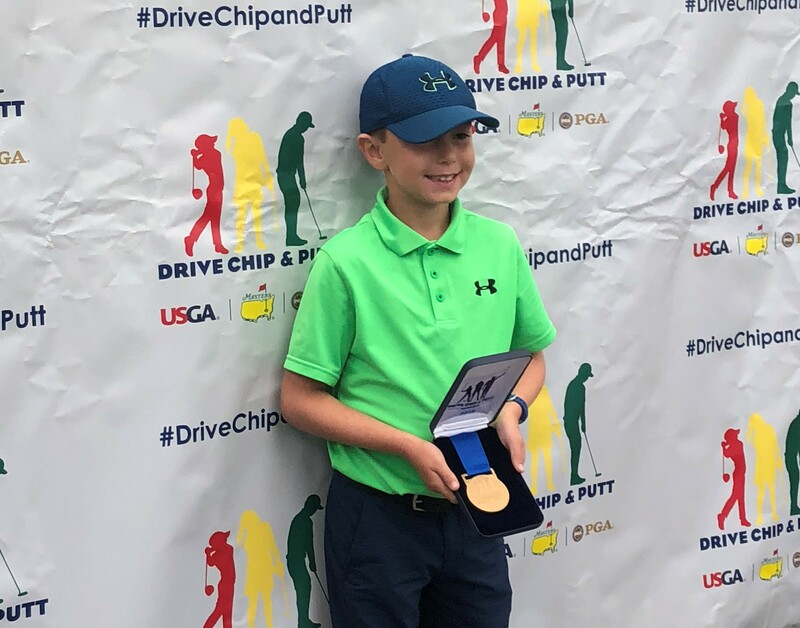 He vaulted into the Top 10 following his win at the Golf Quebec Junior Provincial Match-Play Championship – one of four victories he collected this past year. Song, who holds dual citizenship, has gained 1,003 spots in the world rankings and currently holds down the No. 3 amateur ranking in Canada. A freshman at UC Berkeley, he moved into the Top 10 for the first time after a runner-up performance at the Thunderbird International Junior. Song has four top 10 results this year including a ninth place finish at the U.S. Junior Amateur Championship. Golf Canada National Team member Brendan Macdougall picked up 168 spots over the course of 2018, thanks in large part to a pair of wins at the Big South Championship and the Alberta Match Play Championship. Charles Corner gained 108 spots over the course of the year after three top 5 performances in his final collegiate season. Joey Savoie gained 99 places in the world rankings to sit at a career-best No. 57 in the world. 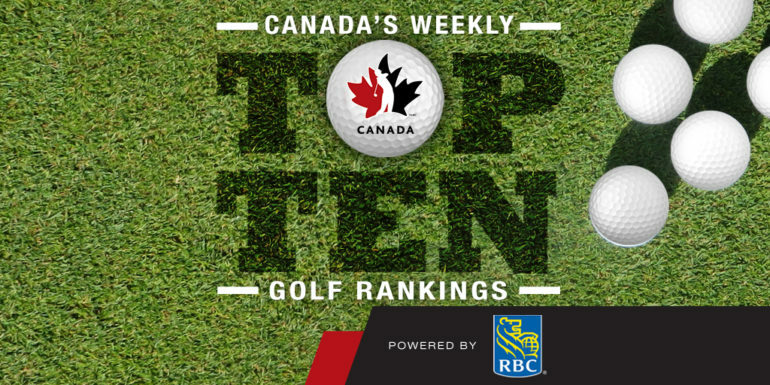 The Golf Canada National Team member had seven top 10 results including a pair of wins and he will finish at the No. 1 amateur player in Canada. Brigitte Thibault made the biggest move among Top 10 players in 2018. Recently named to the Golf Canada National Team, Thibault gained 833 spots in the world rankings and was one of two players who moved into the Top 10 over the course of the year. Back-to-back top 10 finishes elevated her into the Top 20 and a total of seven top 10 results have solidified her spot as the No. 2 amateur in Canada, including a runner-up finish at the Las Vegas Collegiate Showdown. The only other player to crack the Top 10 over the course of 2018 was Ellie Szeryk. The Golf Canada Development Team member is also the younger sister to Maddie Szeryk, who was formerly the No. 1 ranked amateur in Canada up until her recent graduation and decision to turn pro. Szeryk gained 274 spots in the world rankings on the strength of four top 5 results including a victory at the Ontario Women’s Amateur and Mid-Amateur Championship. As mentioned Maddie Szeryk’s move to the pros forced a change atop the amateur rankings, which was aptly filled by Jaclyn Lee. However, it may be a short reign as the Ohio State senior is contemplating a similar move to the pros after earning her LPGA Tour card this fall. The Golf Canada National Team member gained 106 spots to move up to a career-best No. 19 in the world rankings. She has 10 top 10 results in 2018 including two victories and seven other top 5 finishes. Development Squad member Celeste Dao gained 169 spots in the world rankings in 2018. Dao, who has signed a letter of intent to play at Georgia, has 11 top 10 results including four wins in what was a busy 2018 campaign for the Quebec junior. Nick Taylor made the biggest gain among the Top 10 over the last week, picking up 13 places after finishing tied for ninth at the Australian PGA Championship. The result was worth 2.41 world ranking points, giving him three points-paying results in his last four tournaments. Corey Conners made the biggest move among the Top 10 in 2018, moving up a total of 408 spots in the world rankings to finish as the No. 2 ranked player in Canada. The former Golf Canada National Team player saw his biggest gain come after finishing runner-up at the Sanderson Farms Championship. It was one of only two top 10 results for the PGA rookie this past year. Adam Svensson made the next biggest gain, picking up a total of 289 spots over the course of 2018. His highlight moment came early in the year, winning the Web.com event in the Bahamas, which moved him back into the Top 10 in the Canadian rankings. It was also one of five top 10 results as the B.C. golfer earned his PGA Tour card for 2019. Adam Hadwin will finish as the No. 1 ranked player in Canada, having held that position for almost two full years now. The Abbotsford, B.C. golfer reached a career high No. 41 in the world after finishing in a tie for 24th at his first career Masters tournament. He notched five top 10 results in 2018 including a tie for third at the CareerBuilder Challenge. Of the 35 total Canadians who are recognized by the world rankings, Sukwoan Ko made the biggest gain, picking up 1,271 points over the course of 2018. Playing on the Korean Tour, his victory at the Jeonbuk Open back in July vaulted him into the Top 20 in Canada and he ends the year at No. 12. Click here for the Official World Golf Rankings (OWGR). The biggest mover among the Top 10 female golfers in Canada goes to a player who has yet to officially turn pro. Jaclyn Lee gained a total of 250 places in the world rankings in 2018, moving into the Top 10 after finishing in a tie for 35th at the Meijer LPGA Classic – which was her only LPGA Tour event in 2018. Lee, a member of Golf Canada’s National Team and a senior at Ohio State University, has since gone on to earn an LPGA Tour card for 2019 and will have a decision to make in the new year, about whether or not to turn pro at the season’s first event or wait until later in the year until after she graduates. Brooke Henderson finishes the year as the No. 1 ranked female in Canada, a position she has held since December 2014. Henderson had two wins, including her impressive performance at the CP Women’s Open, as well as eight other top 10 finishes in 2018. She closed out the year collecting world ranking points in each of her last 14 consecutive tournaments to climb into the Top 10 in the world. Brittany Marchand made the biggest gain over the course of the past year, picking up 205 spots in the world rankings. 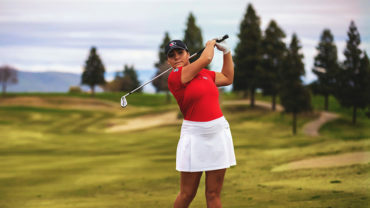 The Golf Canada Young Pro Squad member had one top 10 result and one top 20 finish in her rookie LPGA season as well as a third place result on the developmental Symetra Tour. At one point, Marchand collected world ranking points in 10 of 11 LPGA starts. Anne-Catherine Tanguay gained a total of 60 places in the world rankings in 2018. After a slow start to her rookie LPGA campaign, the Young Pro Squad member found her groove in the middle of the season, earning world ranking points in six of seven events to close out the season.